After making Instant Pot Mac and Cheese, I will never again cook it on the stove or in the oven! Many people are hesitant to try to make pasta in the Instant Pot, but I find it to be super easy and it turns out perfect every time. 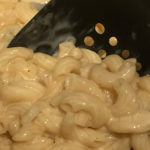 Thick and creamy instant pot mac and cheese. 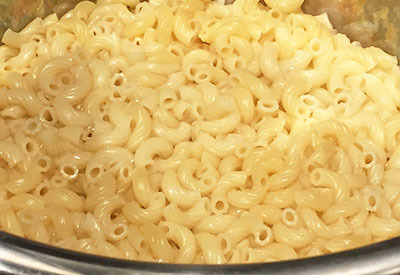 A lot of people wonder what the advantage is to making Instant Pot Mac and Cheese when it can be done on the stove top burner in about the same time. One reason that I absolutely have fallen in love with the Instant Pot is the fact that I can ‘fix it and forget it’. I can get other things done without having to attend to a pot of boiling water on the stove. It is easy to get perfectly cooked pasta in the Instant Pot. I can’t tell you how many times that I have walked away with pasta simmering on the stove to only hear the horrible sound of it boiling over. Not to mention the extensive clean up required when starchy water spills over. However, like with all homemade mac and cheese recipes you must use freshly grated cheese. The pre-shredded cheese that you buy in bags at the grocery store will not melt to the consistency that you need. 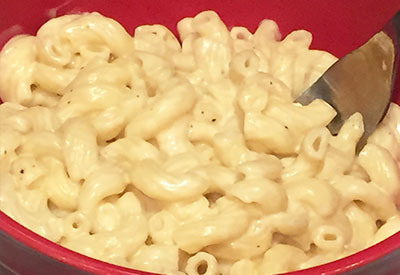 Use only freshly grated cheese for the perfect Instant Pot Mac and Cheese. The anti-caking coating that they use in packed shredded cheese will cause a gritty taste. 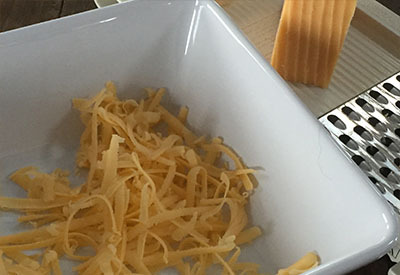 It’s easy to shred your own cheese with a multi-purpose mandolin. I always prefer to have a blend of two or even three cheeses when making this recipe. Of course, you can use just a single variety or you can mix it up and try your favorite cheese in this recipe. A bowl of Instant Pot Mac and Cheese. If you are making it for those that love their food a little on the spicy side, choose cayenne pepper rather than black pepper. And if you like it even hotter we sometimes put a few drops of hot sauce when we stir in the cheese. And for those that insist on making baked mac and cheese do yourself a favor and make our famous Lobster Mac and Cheese recipe. Check out the recipe below and all of our recipes and let me know what you think! 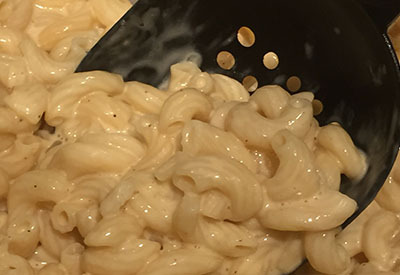 Homemade creamy mac and cheese made in your Instant Pot pressure cooker. Add uncooked macaroni and water into the Instant Pot. Stir to combine. Place lid on sealing and pressure cook/manual on high pressure for 6 minutes. When time is up, carefully perform quick pressure release. Stir in evaporated milk, butter, salt and pepper. Mix until the cheese is melted and evenly spread on the macaroni.